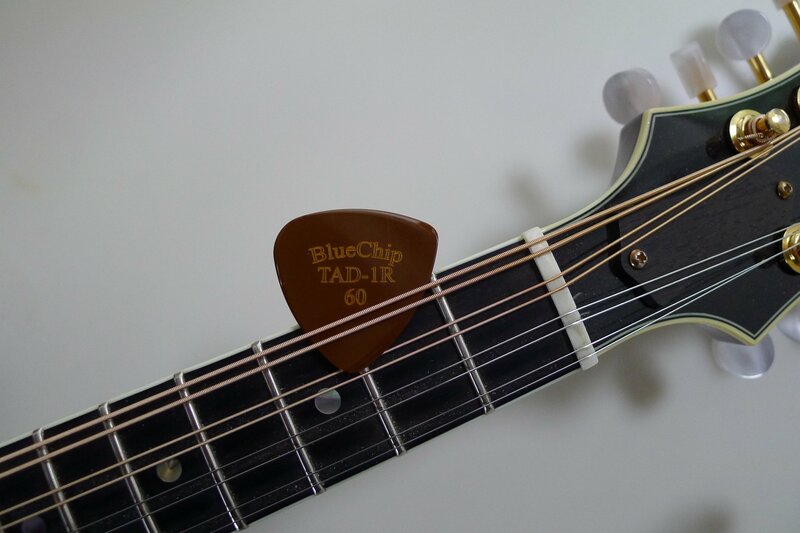 The plectrum (or lowly “pick” ) can have a huge effect on one’s overall playing technique as well as volume. The size, shape and material it is made from, are the big factors. This particular pick has been a game changer for me. I have to thank one of my mandolin students for enlightening me to this particular brand. I do not know what it’s made of but in over a years use it shows practically no wear. It shape is great to grip and the edge bevel is perfect for increasing speed and reducing pick noise. I know pick type is a personal preference for the veteran player but I believe it is extremely important to the beginning student to experiment with many types so they can experience the way they effect the tone, volume and dexterity in their playing. What do you think?